Except for one little thing: the inevitability of the math. Did not the Journal note that a week ago the state told its contractors to stop work on road construction because it was out of money? Did not the Journal learn that the Illinois Lottery stopped selling Powerball tickets on Wednesday, or that it would stop selling Mega Millions tickets on Friday night? Did it not know that that turns off a $90 million annual spigot that will be very hard to turn back on once (or if) the state resolves its financial difficulties? Didn’t the Journal know that courts last year tossed Governor Rauner’s effort to cut pension plan contributions, saying that the contract binding the state to make them is sacrosanct? Of that a court is about to rule that the state must begin to pay millions to cover its current Medicaid obligations and begin to pay off the billions it owes to Medicaid providers who have been waiting months to get paid? Did it not hear the state’s comptroller, Susana Mendoza, say that “there’s only about $75 million in extra cash available” to go towards paying those bills? State general obligation debt is considered safer because states have broad power to tax [emphasis added], and lack the legal ability to declare bankruptcy. So holders of junk Illinois debt can rest easy: they will ultimately be paid full face and all interest by the taxpayer. What a relief! Rauner also promised to place a cap on property tax increases, and cut the state’s personal and corporate income taxes. Madigan, on the hand, has seen Rauner as a threat to business as usual, and has successfully blocked nearly all of Rauner’s initiatives. And any bills that he allows to come to the House floor contain legislation that he knows Republicans can’t support in order to provide “cover” for his Democratic members on hot-button issues while also using those votes as political fodder to attack Republicans. Even after Rauner gave up on some of his demands – the Wall Street Journal called his offer a“capitulation” – Madigan wants still more. For example, Rauner is pushing for a four-year statewide property tax freeze in exchange for raising the state’s income tax for four years. Madigan, however, doesn’t want the freeze to apply to property taxes that are used to pay pension plan contributions for police and firefighters. Any last-minute, late-night negotiations or legislative extensions are being compromised by attack ads already clouding attempts at arriving at a budget agreement. Rauner is running for re-election in 2018 and millions of out-of-state Democrat dollars are painting him as obstructionist and calling him Governor Junk. Rauner is responding in kind. Congress in Washington is hardly inclined to consider bailing out the spendthrift and corrupt state. The only avenue open apparently is if Congress were to allow Illinois to declare bankruptcy. Only in the English language do the words “fat chance” and “slim chance” mean the same thing. So observers of the cratering of the Land of Lincoln into financial oblivion will have to wait and watch to see how the end game plays out. One thing is certain. 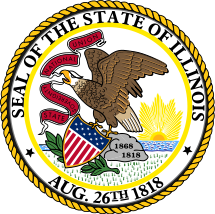 If history is any guide in the matter, taxpayers – state and federal – will likely be directly and painfully involved in any Illinois’ rescue and resurrection. This entry was posted	on Saturday, July 1st, 2017 at 5:33 am	and is filed under Politics. You can follow any responses to this entry through the RSS 2.0 feed. You can leave a response, or trackback from your own site.